Home Life	Game on Concordian video gamers! Game on Concordian video gamers! Looks like gamers now have a reasonable excuse to play video games — apparently they’re good for your health! According to a new publication by researchers at the University of Utah from the journal Science Translational Medicine, video games can be therapeutic and beneficial to one’s health; helping patients with cancer, diabetes, asthma, depression, autism and Parkinson’s disease. “We envision interactive ‘exergames’ designed to enhance patient empowerment, compliance and clinical outcomes for specific disease categories,” said Bruggers. The University of Utah has even created their own video game specifically targeted towards patients called the Patient Empowerment Video Game or PE Game. Who knew this day would ever come? Before the news of this research surfaced, most people believed that video games had the opposite effect. I mean, it’s easy to see why. A person can just plug in a game on their computer or television game console and lounge on the couch for hours without realizing how quickly time passes; hours they could be spending outside moving and being active. “Some games have been shown to help people with various medical conditions, both physical and psychological,” he said. So, how is it possible that playing video games can be good for you? With the help of advanced computer technology, that’s how. Let’s take a momentary glance back into video game history and refresh our memory on the facts. The first video games that came out were 2-D games such as Pong and Pac-Man in the late 1970s, typically played at an arcade which for the most part required a person to stand while playing. A somewhat healthy way to keep yourself entertained. The years progressed, technology started booming and it seemed as though the standing obligation came to a sudden stop. 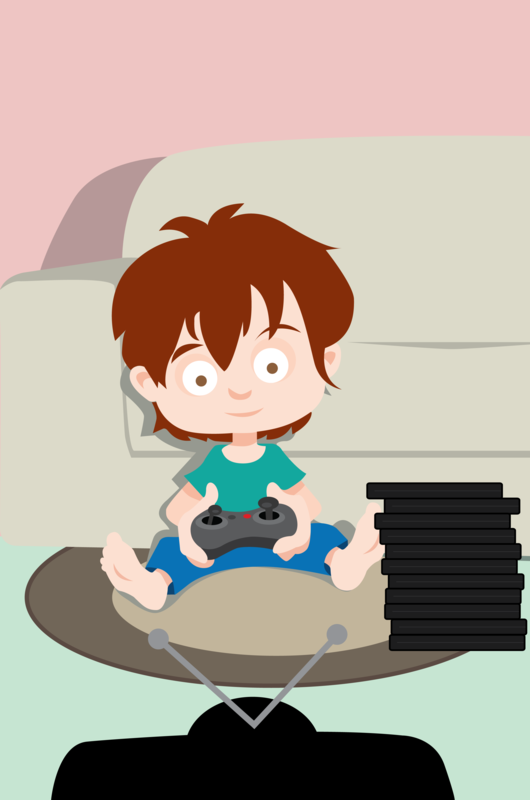 When home game consoles were introduced, such as Atari, Nintendo and Playstation,people were able to play comfortably sitting alone for hours on end. Not such a healthy activity anymore. In 2006 Japanese designers created a game console that brought back the standing element of gaming, in the form of the Wii: the latest Nintendo game console that runs off of sensory movement. Suddenly gaming has become a healthy activity again, starting with the Wii console using games such as Wii Fit and Just Dance, forcing all players to get up off their couches and move in order to play. Other gaming companies like Xbox and Playstation recognized the growing popularity of the so called “exergames” and created sensory consoles of their own, which the University of Utah has now also done. Thanks to computer engineers, video games have evolved from people having to stand, then sit and now move in order to play, allowing entertainment and exercise to coexist harmoniously. I think it’s safe to say that video games are literally taking a step in the right direction.